Imagine your morning routine: you wake up, wash your face, brush your teeth, shower, make coffee, have some oatmeal, use the restroom and leave for the day. What do each of these everyday tasks have in common? Water. Water is an essential need for all living beings. Without it, we’re unable to grow and properly survive. However, for millions of people around the world, the struggle to get enough clean water is a reality faced everyday. According to WaterAid.org, about 663 million people are living without clean water, and 2.4 billion do not have access to adequate sanitation. In UNICEF’s recent summary, Thirsting for a Future, they predict that by 2040, almost 600 million children will be living in areas of extremely high water stress. Disastrous conditions such as droughts and floods leave water contaminated, and could be detrimental to those consuming it. On top of this, in many of the same regions, women and children are responsible for collecting water for their families. These are often dangerous journeys that take hours of trekking. The world water crisis is a real life issue. Although it may not affect us all in the same way, it leaves millions in dire circumstances. With this crisis effecting so many people’s everyday lives, charities and grassroots organizations are working to help alleviate the situation. JahSun, a DJ, producer and entertainer, had a bigger goal in mind when he founded Water Charity in 2007 during a trip through Central America. "Water Charity always wanted to be worldwide. It was never our intention to restrict ourselves to one country, one region, one group or one people. We started in Guatemala because we both knew the area and had a clear project to do, but our philosophy is that all lives are equal," said JahSun. As a small organization comprised of himself and two others, Water Charity continues to take massive leaps to help those facing the crisis. It was difficult for the small team to orchestrate major solutions for massive issues, but thanks to their partnership with the Peace Corps, Water Charity has been able to give back even more. “Our association with the Peace Corps helped us to get work done in a wide variety of places, and continues to be a major factor in our ability to reach so many nations with our work,” said JahSun. Water Charity continues to take massive leaps to help those facing the crisis. Since their creation, they’ve expanded their outreach to 72 countries and have projects constantly on the go. 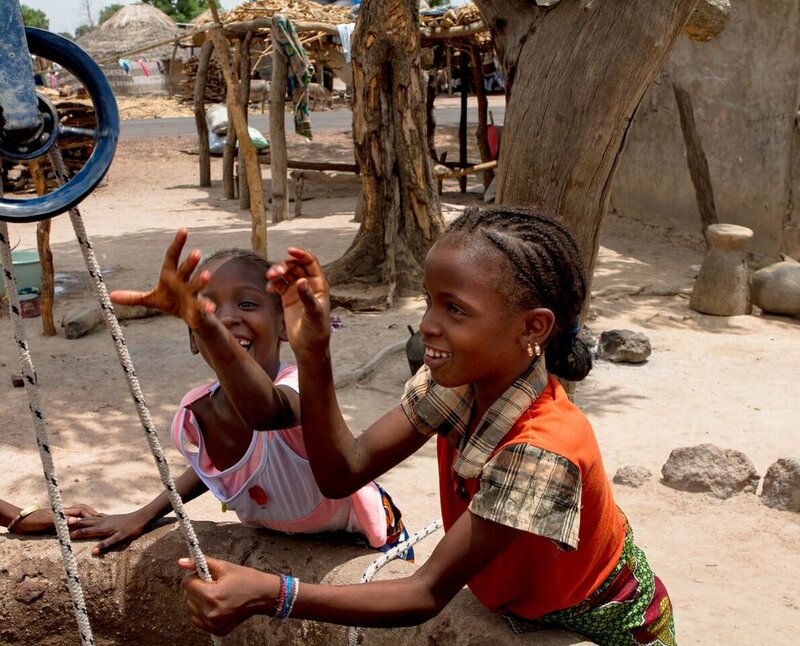 Projects like the Agnam Tonguel School water project in Senegal. Agnam Tonguel, Senegal is a muslim majority community made up of 1500-2000 people, speaking Pulaar du Nord, with some comfortable speaking the national language Wolof. In Agnam Tonguel, there’s an elementary and middle school, and is taught entirely in French. A frightening task for some students, yet they’re eager to learn. Partnering with the National Peace Corps Association, Water Charity was able to build two additional bathrooms in the elementary school that would serve over 330 people, including the 300 students that attend the school. On April 23 of last year, Water Charity reported not only having constructed two bathrooms, but they fixed the preexisting stall, giving students three working bathrooms. Hand-washing stations were distributed to each classroom, and all students were taught proper hygiene. The Agnam Tonguel water project is one of many that the team at Water Charity has in the works. All Water Charity's projects are fully funded through in-kind donations. If you’re interested in donating to Water Charity, click here.